If you have had the opportunity to enjoy an extended backcountry hiking trip, you are no doubt familiar with the campfire moment when you begin to fantasize about your first meal off the trail. 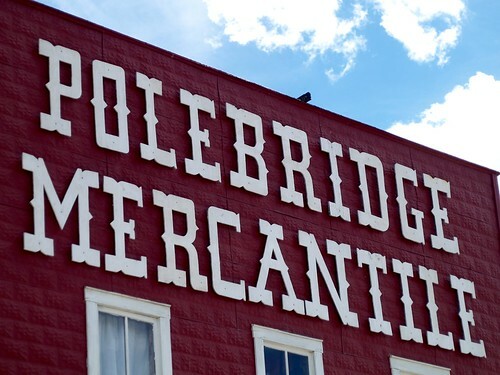 If you happen to find yourself in northwest Montana, hiking in the North Fork Valley, you will likely be fantasizing about Polebridge Mercantile. 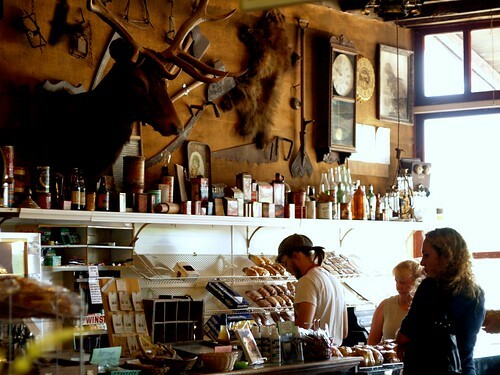 This general store, bakery and gas station is a mile from the northwest entrance to Glacier National Park and the only bakery between Apgar ranger station and the Canadian border. Though, even without that distinction, Polebridge would be worth the long, gravel road drive. Pastries run a dollar and change and a baker's dozen of their cookies are only $5. 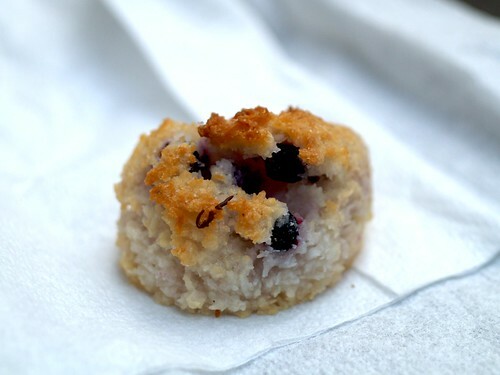 Don't miss the huckleberry macaroons (pictured above), the spinach and blue cheese pastries with garlic and poppy seeds, or their sticky buns. 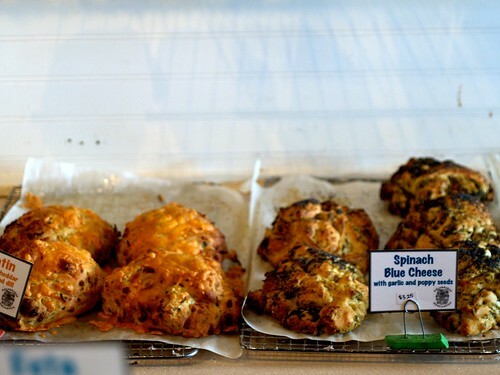 They also sell excellent hot and cold sandwiches and breads. As one of the only stores within miles, Polebridge sells a wide variety of home and camp supplies, toiletries, food, and beverages. 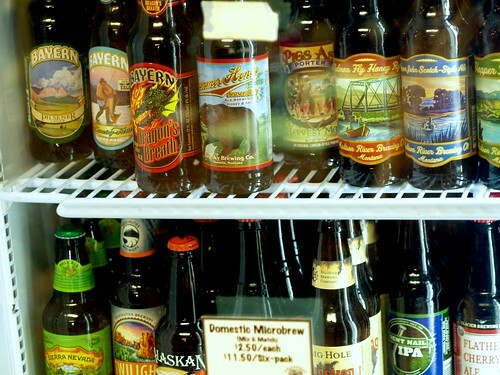 The big porch and picnic tables out front provide the perfect invitation to enjoy one of the regional microbrews they sell while you take in the mountains surrounding this picturesque corner of the world. Camping is plentiful, but Polebridge also rents cabins on their property for $45 a night. Call ahead for details and be mindful that the area is fairly inaccessible for much of the year without serious snow equipment. And be sure to sweeten up the Apgar rangers with a bakery delivery on your way back south. This looks awesome. I've been to Glacier, but never to here. My beloved Glacier! I've been all over that place, but never on the western side where Polebridge is. Next time through, a detour is in order. Aww... I grew up 45 minutes from Glacier Park and it's so great to see the MT ad campaigns all over the Chicago CTA! And Polebridge! The memories. Thanks for the spotlight. Can't wait to visit there again in August! You have to get there early to get a piece of your favorite pie! Going there today...actually recommended by friends from Bay Minette, Alabama.